Digimon Thanksgiving 2018 - Special Meeting in Odaiba will be starting soon at the United Cinemas Aqua City Odaiba. 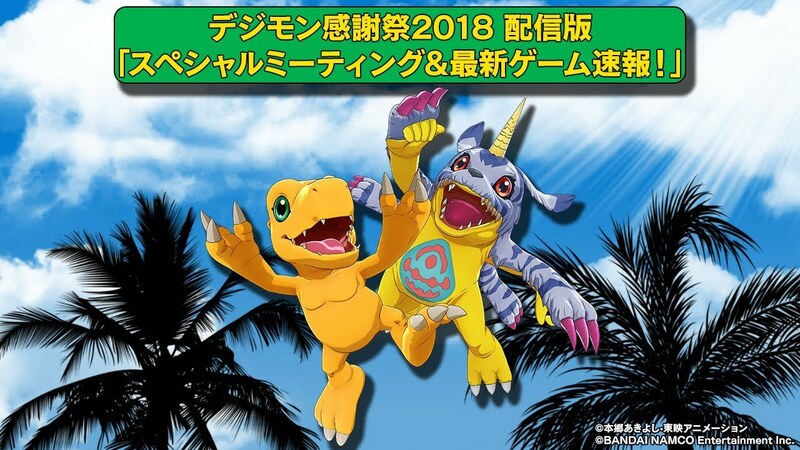 Digimon Thanksgiving 2018 is a replacement for the DigiFes event that has been held yearly since 2014. It's currently 1:30am Pacific and it begins 2am Pacific. While full details for the event haven't been announced, they did announce the guest lineup awhile back. Chika Sakamoto (Agumon), Mayumi Yamguchi (Gabumon), Natsuki Hanae (Taichi), Yoshimasa Hosoya (Yamato), Ayumi Miyazaki, and AiM! Additional guests 'may' show up unannounced. While the live event begins at 2am Pacific, the actual livestream begins later. The livestream begins at 3am Pacific. The stream will be on niconico and Youtube and is scheduled to run for 3 hours and 45 minutes. Digimon game writer Koji Watanabe, who will act as MC, and Producer Habu and Producer Tsuzuki Katsuaki will also be on hand for the stream. The first part will be the live event. Whether it's all or just some we don't know. 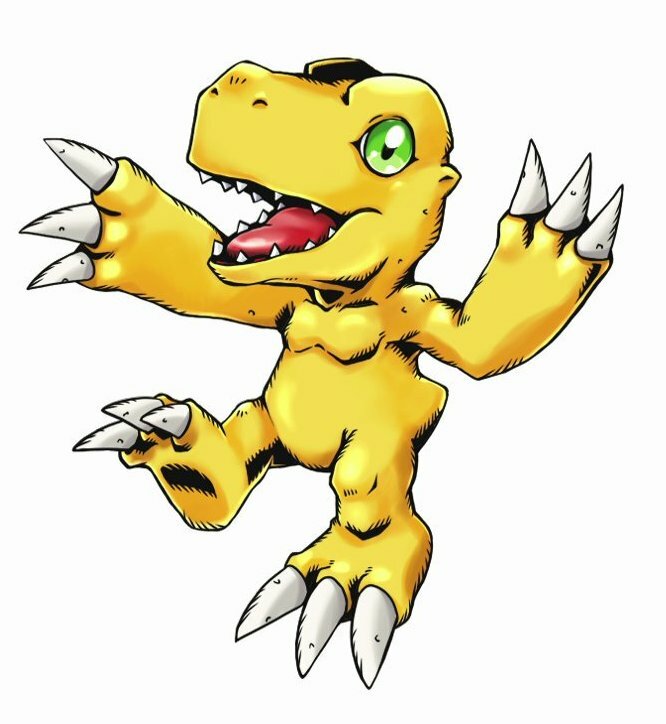 The second part will focus on Digimon games and products. 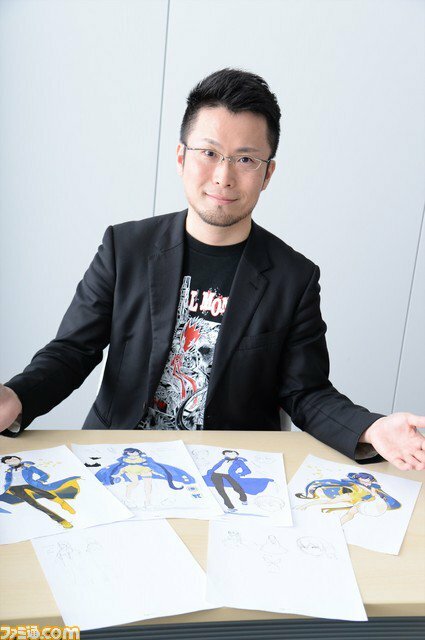 There will be a formal introduction of Digimon Survive, the newest Digimon, and a staff Q&A with questions collected from fans. On top of that there will be details of the Digimon smartphone apps, along with recently announced products. 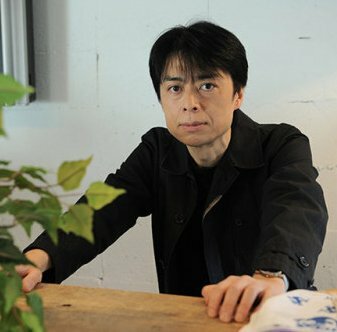 The third part will focus on the anime, but outside of saying guests from the live event will show up for a talk, they haven't given much information on this. We'll update with details from both as we get them, with big announcements also getting their own thread. At the end we will also do a news index for the last half week, as the amount of news has been quite high. A BlitzGreymon figure was announced. We've got a look at a full color prototype of the GEM figure of Angewomon Holy Arrow Version. The Toei Museum just opened and we have a look at some of the Digimon features at it. 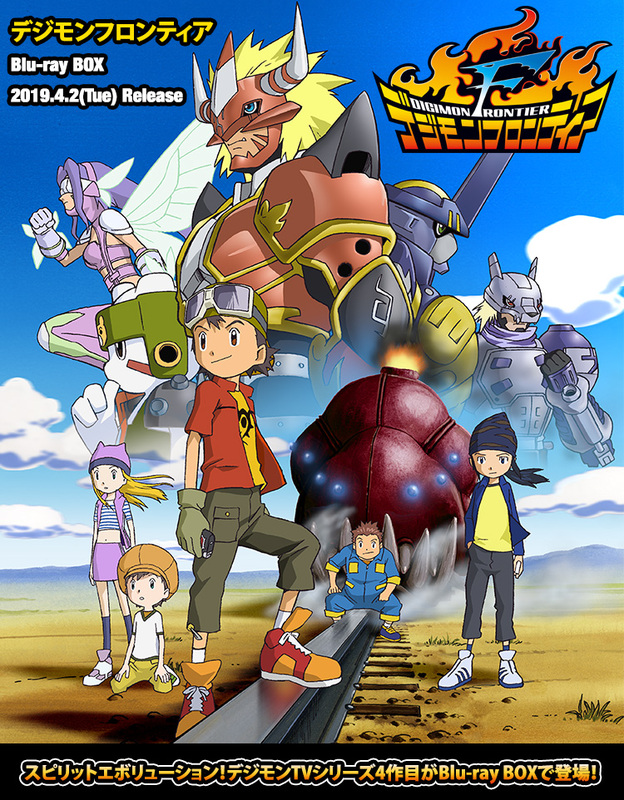 Digimon Frontier is getting a Blu-ray box. It already has it's own thread with many more details. Update- The stream is about to start. Update- The stream has begun! 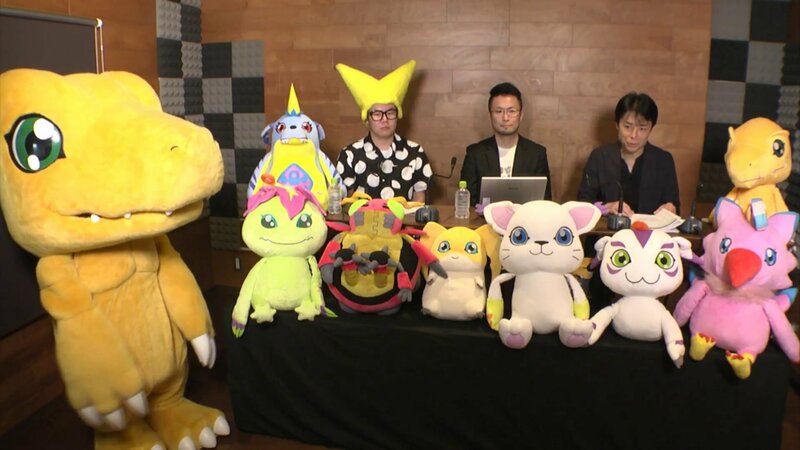 You can see Agumon, Victory Uchida, Producer Habu, and Koji Watanabe. Update- They're about to announce the new anime. They went thru a montage of previous anime series. Will put up captures of those when there is a free minute. The teasing heavily suggests new Adventure, should know shortly. 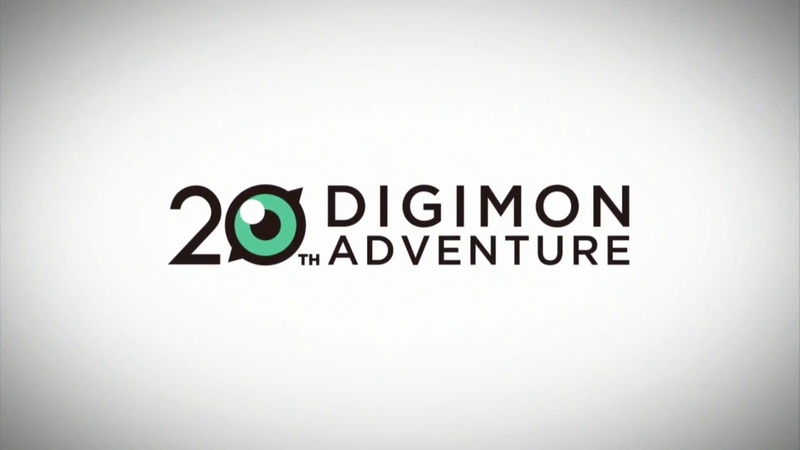 We got a nice big version of the Digimon Adventure 20th logo. 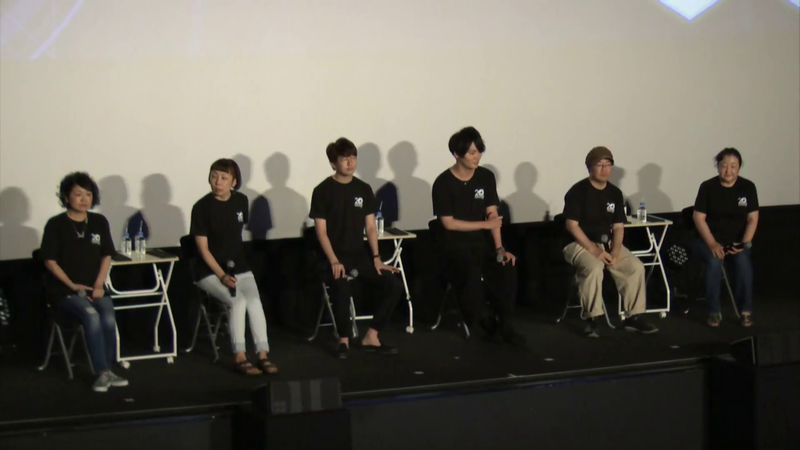 In addition the 4 actor guests, Kenji Watanabe and Hiromi Seki joined them on stage. This is the first time I can recall seeing Seki being on camera at an event in a very long time. Update- At the moment they seem to be going over the scenes that were chosen by fans that they asked about a few weeks ago. 3- Tai leaving Hikari in the real world episode. 1- Mimi and Palmon saying goodbye at the end of Adventure. 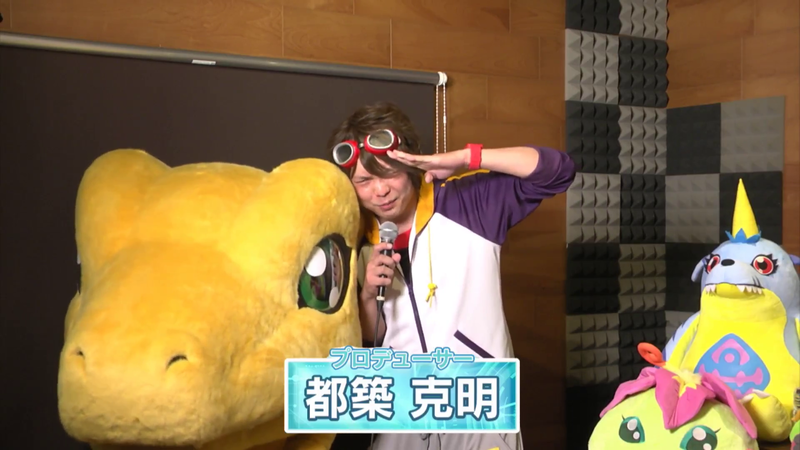 Update- At the moment they seem to be asking the guests various questions about Digimon memories, etc. that were gathered from audience members before the show. 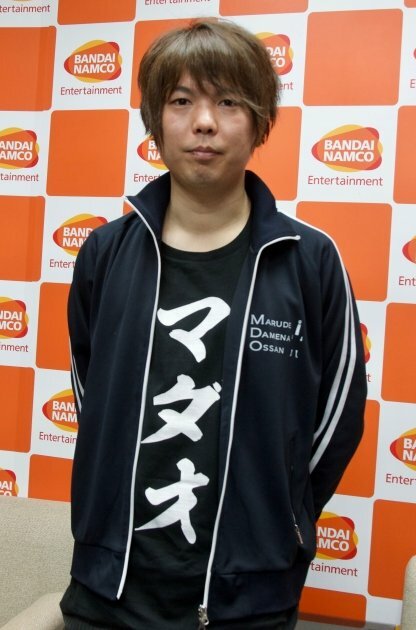 Update- They've jumped back to the studio, seemingly to discuss Digimon Survive. Gameplay is being shown of Digimon Survive. Thus far it looks like a very nice, but also very basic strategy RPG. This is new for Digimon, but I hope we get some twists. Update- The debut trailer for Digimon Survive. Update- They're going over some of the ReArise promotions going on. Update- After going back to video from the live event with AiM, Miyazaki, and the assembled guests singing, they're showing off the CSA Digivice 1999. The coloring in real life looks quite great. 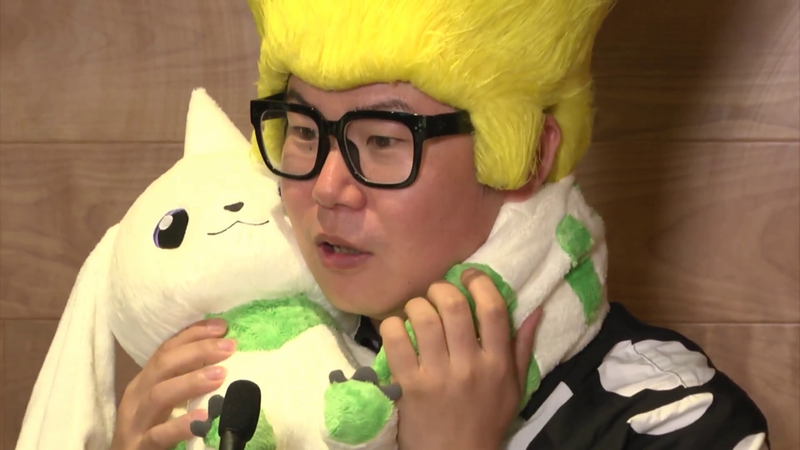 Updater- Victory Uchida is playing with Terriermon! And now they're going over the new Pendulums and art book. Update- After going thru a few other products (the gashapon, etc.) Target Nishizawa has come out with the Digivolving Spirits AtlurKabuterimon figure. A few Dorumon's have been pulled out and Target Nishizawa and Victory Uchida are racing to transform him into Alphamon. 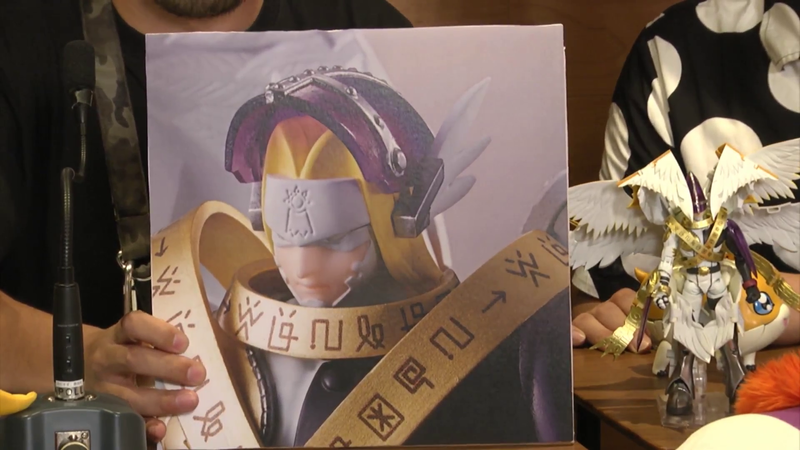 Afterwards, they pulled out Digivolving Spirits HolyAngemon in both forms, along with a prototype of him showing off the figure. Update- They show off a great feature! You can flip his mask! Update- They showed off a prototype of Garudamon and showed off artwork of Beelzebumon! Updated the anime thread with the image of Taichi and Yamato at 22. Most of the talking for a bit has just been lots of talking, hopefully a translator who sees the video can go over some of it, but at the moment they seem to be going over fan questions. Update- The stream ended showing the Survive trailer one more time. Seen a split second of Floramon in the game footage. She is including then too. The game looks good. Different but the art style looks nice and clean. Still love the Erismon plush. Probably just spliced footage, I can't see level skipping being a featured mechanic (but who knows at this point). Anyway, this is all rather curious; leaning into the VN aspects even moreso than Cyber Sleuth, but then SRPG battles? It's all interesting.